Our work at donkey wheel is focussed on developing an ecosystem for social innovation. I read this recently. Learned about contemporary research and thinking examining how economic policies designed to help poor and/or marginalised people work, and the extent to which they are effective. The book is academic and not politically partisan, but I came out feeling discouraged at the apparent lack of political will to base polices on an evidence base of what works and what doesn’t. The jury is not out anymore, the so-called Washington Consensus, the thesis that the benefits of economic growth trickle down to benefit everyone has been disproved. There is a better way, involving investment in social infrastructure rather than welfare payment from consolidated revenue … but as with so many areas, political ideology prevents us from examining the evidence and acting accordingly. Inclusive Growth explores a new synthesis of social and economic policy for Australia. It is based on the ‘Inclusive Growth’ roundtable hosted by the University of Melbourne – Brotherhood of St Laurence partnership in October 2011. The hosts brought together leading thinkers from key institutions including the Workplace Research Centre University of Sydney (WRC), the Social Policy Research Centre (UNSW), the Grattan Institute, the Business Council of Australia, and the Australian Council of Trade Unions, who have all been engaged with this policy challenge. Inclusion and growth can indeed be compatible. Numerous leaders of the economics profession have been calling for some time for the reinvigoration of the radical reform ethos of the late twentieth century. This book shares that sense of imperative, but not the ethos that saw welfare as harmful to growth. The authors detail the way in which the benefits of growth were skewed to the rich. To enjoy legitimacy, any new Australian economic reform agenda must have a stronger role for social policy and redistribution. 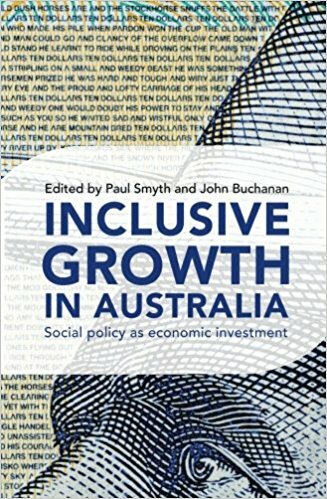 This book investigates what an inclusive growth strategy might look like in Australia in five parts: the national and international policy context; the question ‘has growth been good for the poor?’; meeting the productivity challenge; social infrastructure and productivity; and labor market flexibility and social security. 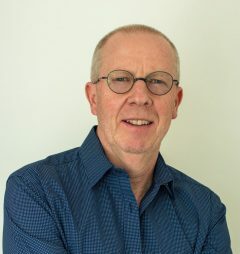 Paul Smyth is a professor of Social Policy at the University of Melbourne, and General Manager of the Research and Policy Centre at the Brotherhood of St. Laurence, Fitzroy, Australia. This joint position involves leading research and the development of policy around partnership solutions to Australia’s social problems. His work combines policy development and research at the BSL with teaching and research at the University’s Centre for Public Policy. John Buchanan is a professor and Director of the Workplace Research Centre (WRC) in the Sydney Business School. In recent years, John’s research interests have focused on changes associated with the demise of the classical wage earner model of employment. He is especially interested in new approaches to integrating industrial relations and social and economic policies to achieve simultaneous improvements in productivity and fairness.